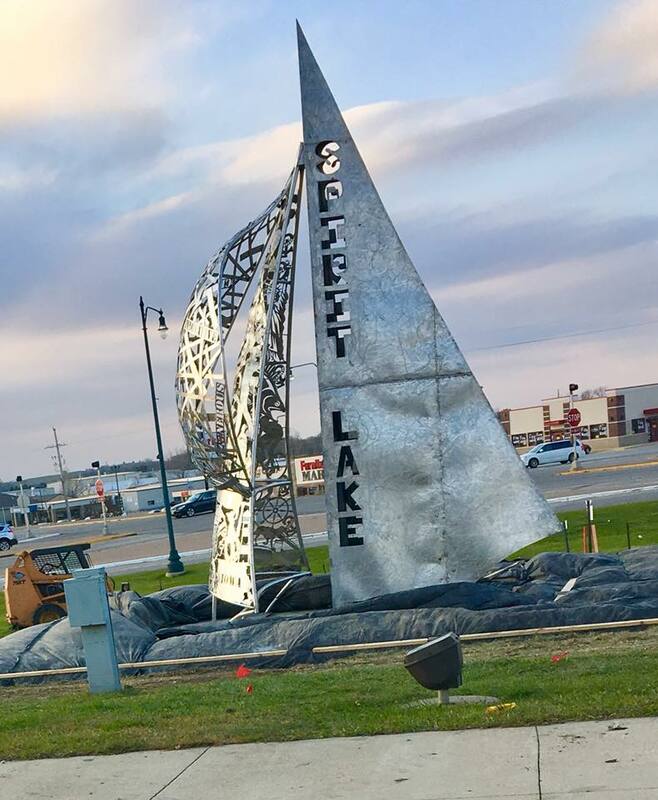 Crews on Thursday, November 2 installed a new sculpture welcoming people to the City of Spirit Lake at the intersection of Highways 9 and 71. The stunning welded sculpture was constructed by students in the J-Term program at Spirit Lake High School under the guidance of teacher Brad Travis. What a welcoming sight for residents and visitors alike.